Manchester United midfielder Juan Mata has emerged as a surprise target for Real Madrid. According to the football transfer rumours in British Media, Real Madrid are linked with a move for Manchester United midfielder Juan Mata. The Spain international was signed by Manchester United in January 2014 from Chelsea for a fee of 44.7 million euros. The 29-year-old has a valid contract with Manchester United until June 2018. Juan Mata has played 158 times for Manchester United since signing from Chelsea, scoring 37 goals and creating 26 assists in that time. The 29-year-old is considered to be one of the best midfielders in Spain. There has been no movement on Juan Mata agreeing a contract extension at Manchester United, and he will be on the radar of many English clubs during the winter. Zinedine Zidane wants to sign a new midfielder this winter and Juan Mata is one of the names at the top of his wishlist. The Spain international is thought to perfectly fit the profile of midfield player Zinedine Zidane wants to target. Zinedine Zidane is a long term admirer of Juan Mata and believes he can get the most out of the Spain international. The 29-year-old would be a very good addition for Real Madrid and they can afford him as well. 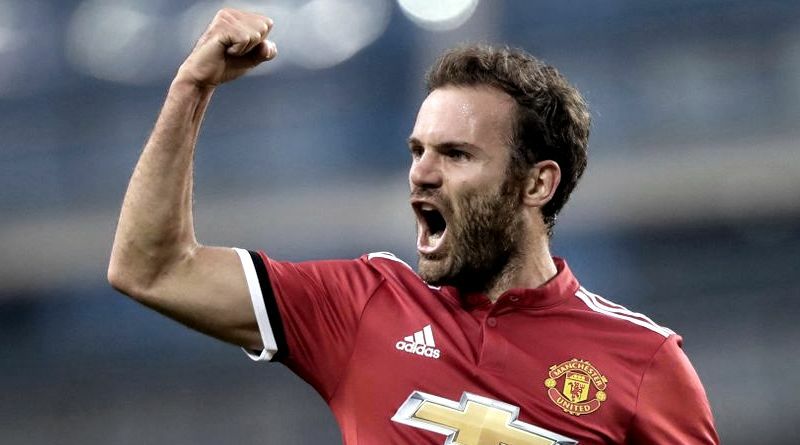 According to the report in British Media, European Champions are interested in bringing back the playmaker to the club where he started his career, but Mata cannot stay a regular first-team star at United. If he cannot get into the Old Trafford first team though, many would question how Mata would get regular football at the Berbabeu? It will be interesting to see what happens when Real Madrid come calling for Juan Mata in January.